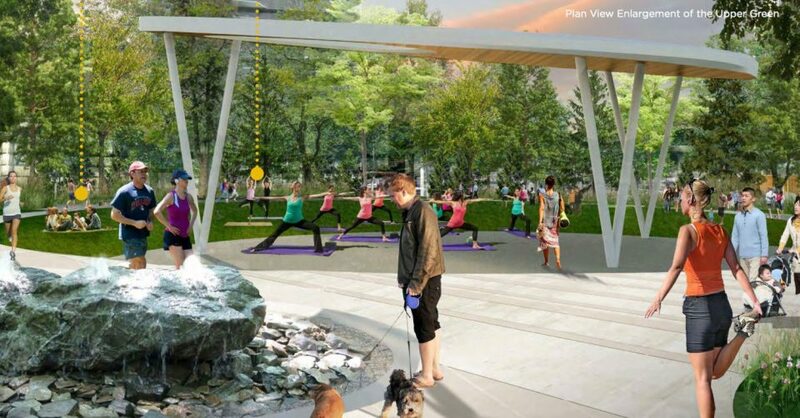 The Vancouver Park Board is seeking public input for a new, nine-acre park at Oakridge Centre. 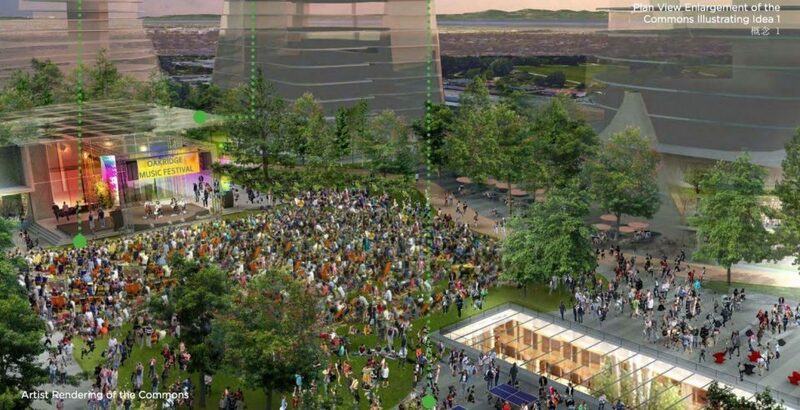 The public park will be located partially on the mall’s rooftop, as well as at ground level. Access to the upper park levels will be by stairs, ramps, escalators and elevators. 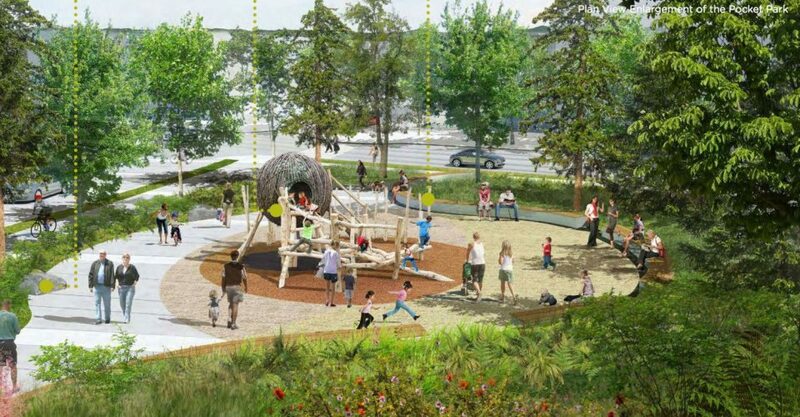 The vision for the park includes lush plantings and large trees, a variety of seating areas and surfaces, water features, interactive play opportunities, a running track and public art throughout. 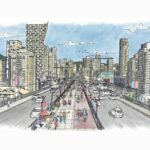 For runners and walkers, a 800-metre long track will ring the perimeter of the new park. 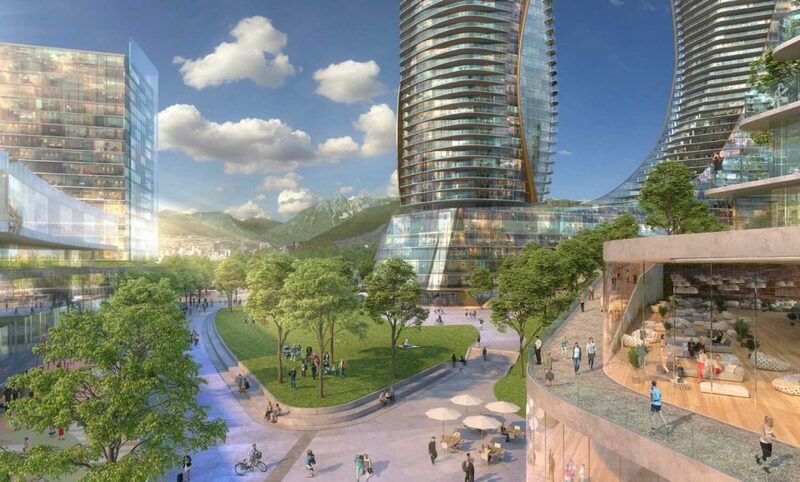 Several skylights will provide daylight to the shopping centre below, and the park will be surrounded by new residential and office towers as part of the redevelopment of Oakridge Centre by Westbank and QuadReal. 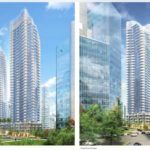 Once complete, 6,000 residents will be living in 2,600 new homes across 11 towers. 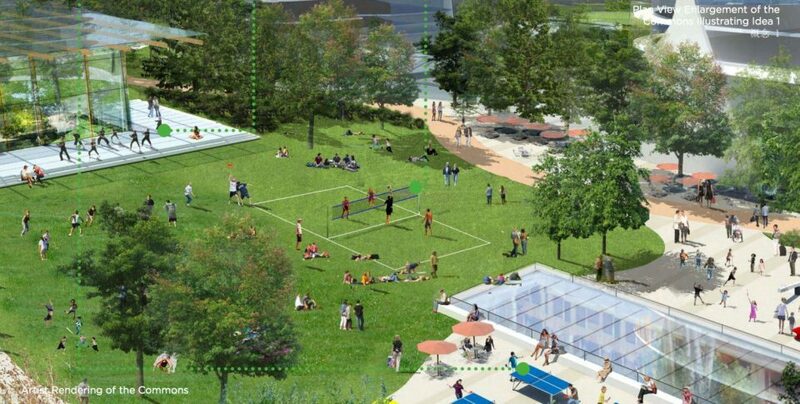 The park board first sought public input on the new park last year, with more than 1,000 people providing feedback. Their input has helped inform the draft concept outlined below, broken down into six “concept” areas. 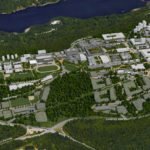 The Civic Centre Park will be located at West 41st Avenue and the western boundary of the site, adjacent to a new community centre, located in the new Civic Centre. 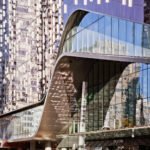 The new Civic Centre building will contain the new community centre, as well as a library and childcare facility. 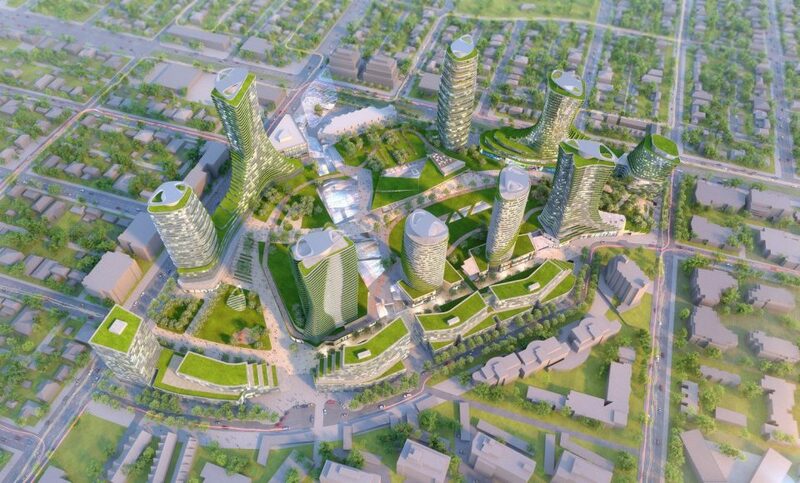 It will also house a fitness centre, gym, seniors centre with kitchen, youth centre, performance and multi-use spaces. The Upper Green is a large, open lawn space on the upper level of the park. A fenced, off-leash dog area will be located nearby. 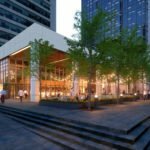 The Commons will be a hub of activity adjacent to the outdoor patios of several restaurants. Interactive water features will provide visual interest, as well as play opportunities for children. The Meadow Gardens will be a lush area with a variety of wildflowers, and will also provide homes for birds and other pollinators. There will be an outdoor classroom and “learning garden” with support facilities for gardening and beekeeping. 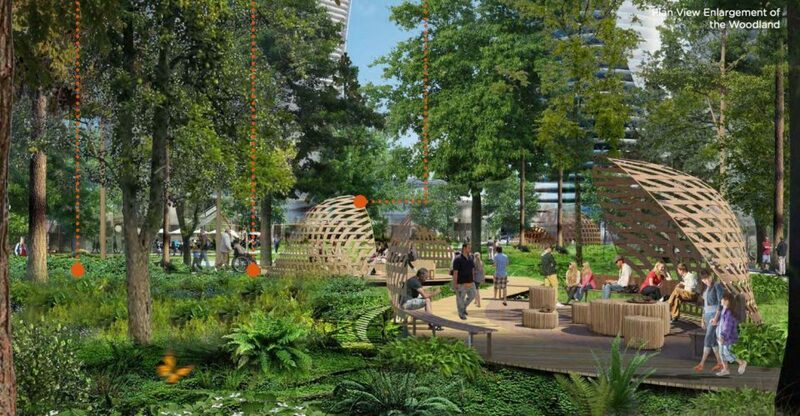 The Woodland will be a lush, forested area with boardwalks and seating areas. 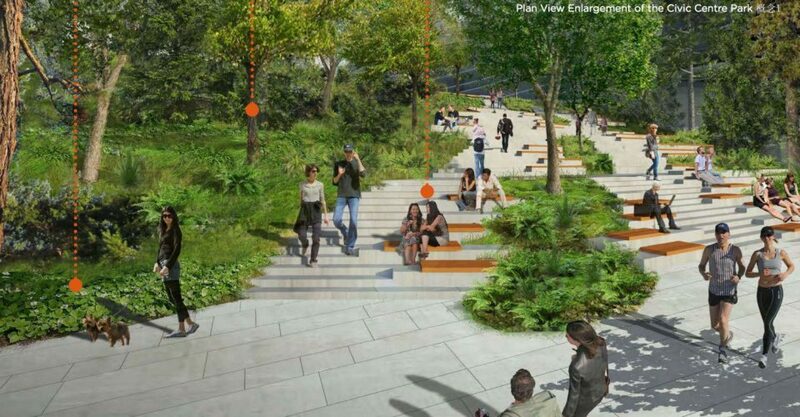 It will showcase ground flora native to the Pacific Northwest and is meant to be a restorative space in contrast to the more active areas of the park. Access will be off West 45th Avenue, at the southern end of the site. The Pocket Park is located adjacent to The Woodland, and is accessed off West 45th Avenue. It’s meant to be a neighbourhood park, leading people to the entrance of the larger rooftop park. 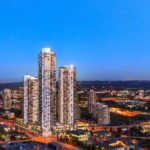 Over 45,000 new residents are expected along the Cambie Corridor by 2041, more than doubling the current population and increasing the need for park space. A final park design will be recommended to park board commissioners this summer. The landscape architect is PFS Studio of Vancouver.